Born on October 7, 1940, in Swainsboro, in Emmanuel County, to Louise Phillips and John Tyler Wilson, Larry Jon Wilson was raised in Augusta, Georgia. He attended high school at Carlisle Military Academy in Bamberg, South Carolina, before attending the University of Georgia, where he majored in chemistry. From 1963 to 1973 he worked in Langley, South Carolina, for United Merchants and Manufacturers as a technical consultant in fiberglass manufacturing. At the age of thirty, Wilson received his first guitar and taught himself to play. Four years later, by then a husband and the father of three children, he decided to try to make his living by making music. In the 2nd half of the 1970s he had 4 great records out on Monument: New Beginnings, Let Me Sing My Song To You, Loose Change and Sojourner. His compositions reflect his experiences, and many focus on his southern childhood; one writer called them "eloquent, elegiac songs of the South." 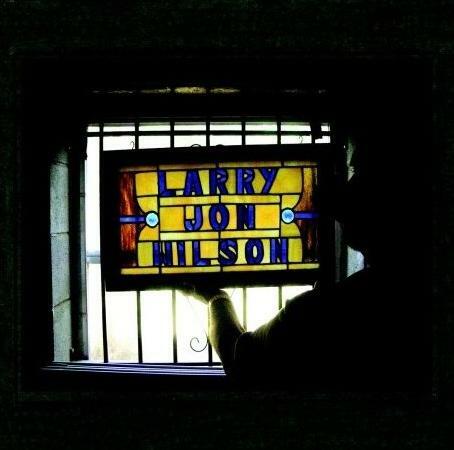 Of his first album, the critic for the Saturday Review in New York said, "Larry Jon Wilson's New Beginnings is, to sum up, the best thing I have heard in country, rock, pop, or you-name-it for a very long time." 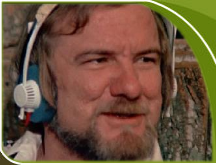 Larry Jon Wilson also appeared in the movie Heartworn Highways, filmed in the studio in 1975, recording the self-penned Ohooppee River Bottomland, a funky grooving Southern-BluesRockCountrySoul-Song. And that was the problem when it came to the business side of Music City: A lot of talent, a wide range of style, he couldn't be put in no drawer and he couldn't be marketed. Kind of like Charlie Rich, if Charlie had never let himself be turned into the Countrypolitan Silver Fox and, as some say, sold out musically for success. For Larry Jon it was no hits, no success, no compromises, and so in 1980, disillusioned, he left the music business and remained obscure, a hidden musical treasure, playing solo live gigs whenever he wanted or when he needed the money. Friends and contemporaries like Townes Van Zandt, Mickey Newberry/Newbury, Guy Clark, Billy Joe Shaver, John Prine, Kris Kristofferson and Tony Joe White might have urged him to record again, but he laid back in Augusta, Georgia, doing voice-overs for tv and occasional live gigs. Then, at the beginning of the new millenium a couple of his 70s songs appeared on the great samplers Country Got Soul, Volume 1 and 2, and two new recordings, Sapelo und Friday Night Fight At Al's, on the Dan Penn produced The Country Soul Revue - Testifying. He will keep on Wilson-izing every listener.